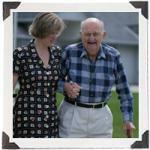 Services for Seniors (SFS) is Rochester's premier companion service organization. We have been serving the needs of Rochester's elderly community since 1988. Our goal is to improve the quality of life for you, a family member, a friend or a loved one. Services for Seniors (SFS) is Rochester?s premier companion service organization. We have been serving the needs of the Rochester community since 1988. Our services have been designed to improve the quality of life for a family member, friend or loved one. Services for Seniors takes the time to match our employees and our clients. Oftentimes, our Companions and clients develop a personal relationship, which adds to the quality of care. We take the time and effort to individualize each and every case. We differ from the other companion care agencies, as the Companions that we send to you are our employees. They are bonded, insured and carefully screened, including criminal background and reference checks. Services for Seniors is locally owned and operated. Owner Daniel Richardson, having over 30 years experience managing three family-owned nursing homes, knows all to well that institutionalized care can often be avoided by providing a more supervised and helpful environment in the home. Please contact us today if you or someone you know could use our help. We would be happy to arrange a no-cost assessment at your convenience. We would love to hear from you, as we are here to help. Our new offices are conveniently located near the intersection of Long Pond and Ridgeway Avenue in Greece..